Scottish Power recently announced its plan to invest an amount of up to £2bn in large-scale British projects focusing on renewable energy. Having sold off its last remaining gas power station the company plans to fund a number of interesting green energy projects by the end of this year. The utility giant, Scottish Power famous for supplying gas and electricity for domestic and commercial purposes across the UK, recently sold off its gas power stations to Drax Group. The acquisition by the Drax Group was realised for an amount of more than £700m. Scottish Power had, in 2018, committed to making a complete switch to renewable power by 2021. In keeping with this commitment, the company plans to invest the funds in various renewable energy projects, both onshore and offshore. Innovative energy solutions in areas such as handling energy demand response and energy storage. Making low-carbon networks more efficient and powerful. Construction of a battery storage facility of 50MW capacity at Whitelee, currently the largest onshore wind farm in the UK. Delivery of a 1GW offshore wind energy plant. The company plans to focus on generating power through wind energy and storing it appropriately for easy, on-demand access. Plans are already in place to increase the storage capacity at the company’s wind farms. The utility giant plans to set up huge batteries at its wind farms to store energy. Investing in battery technology is expected to help the company tap the surplus wind energy and store it for later use. The company plans to direct its funds towards promoting the use of electric cars. As part of this objective, it plans to set up rapid electric car charging points at key locations across the UK. Work on setting up the stations is expected to start in the winter of 2019. 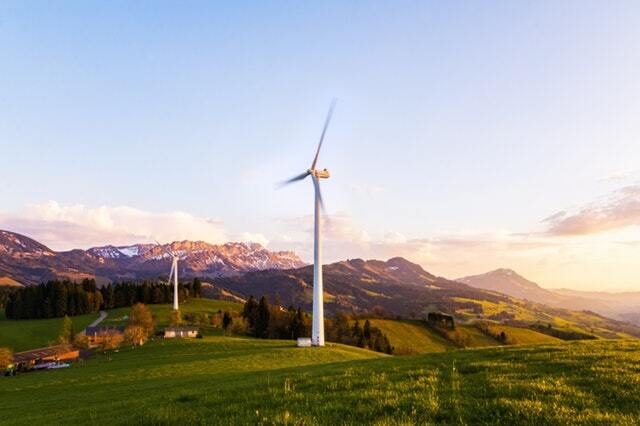 Scottish Power, which was at the forefront as an energy provider using sources such as coal and gas, has made this mammoth shift towards greener renewable resources with this latest investment. Setting up charging stations is part of its plan to invest 15% of funds in delivering innovative solutions to customers. This initiative will be a part of the Company’s Retail division solutions. As one of the 6 major energy companies in the UK, Scottish Power’s shift towards renewable sources is expected to play a key role in the energy future of the UK. With increasing demand for greener and cleaner energy, Scottish Power’s promise of clean and cheap energy is too good a deal to ignore. When it comes to smarter transportation solutions, Carryway leads the way. We are here to assist businesses that are looking to invest in eco-friendly mobility solutions. We specialise in electric transport vehicles, utility vehicles and golf buggies. Our fleet of electric utility vehicles includes compact electric vans, shuttles and buggies. We are official dealers of Club Car, Esagono and Garia and offer a wide range of electric utility vehicles for purchase and hire. As official dealers of these brands, we offer the aftermarket back up and support our clients expect. Contact the Carryway team today to discouss how we can help.